Western Union FX Brokers is a term that is used to describe brokers in the forex market that allow traders to deposit funds and withdraw funds using the Western Union Money Transfer service. To be able to properly understand how to use the services of these brokers, we need to understand the structure of the Western Union money transfer system. Western Union Company is an independent agency that facilitates the movement of cash legally between a party located in one country to another entity located in another country. It operates several divisions apart from its money transfer service. The company has also obtained a forex license in Brazil, and its range of business services make it a suitable candidate to be used by Western Union FX brokers for transactions on their platforms. Based on international financial limitations and blacklists, some countries are excluded from using the Western Union service. Furthermore, there are countries that only have a “receiver” status, which means that traders who use Western Union FX brokers for trading and are located in countries that have the receiver status, can only receive payments from this service. 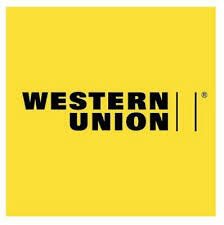 Using the Western Union service attracts charges. So if you deposit funds with a broker that offers this as a means of transaction, you can expect to see less money than you sent out entering your forex trading account. The same thing happens when the trader has to withdraw funds from the Western Union account. These charges are significantly higher than if the trader were to use a credit card, and therefore must be factored in when the trader uses a Western Union broker for his business. Another thing that must be factored into the equation is the policies on use of the company in various countries. For instance, a certain country in Africa has just suspended the collection of Western Union in foreign currency, creating a differential of 10 cents on every dollar received by the trader in terms of the official exchange rate and the parallel market rate in that country. If a trader in that country were to collect $5000 in a forex withdrawal, this policy would lead to a loss of $500! How significant is that? Now that we have defined the peculiar conditions that exist in the usage of Western Union money transfer services as it concerns forex traders, we can now talk about the Forex brokers that accept this deposit method in the forex market today. XE Markets has a very wide range of payment options when it comes to transactions on its platform, and Western Union is one of those options. The minimum amount that can be deposited or withdrawn on XE Markets using Western Union is 100 units of the following currencies: USD, EUR, GBP, JPY, CHF, AUD, RUB, PLN, HUF. The exception is the Japanese Yen, of which a minimum of 10,000JPY must be deposited or withdrawn. Transactions are processed within one business day. FXVV Capital Markets Ltd are a New Zealand based FX broker. This company commenced operations in 2012 and offers Western Union’s money transfer services for traders to deposit funds to their trading accounts. Withdrawals are also made from the trader’s account via Western Union. The minimum amount for deposit is USD100, and this is also the minimum withdrawal amount. Traders will have to bear the cost of fees charged by Western Union for this service. 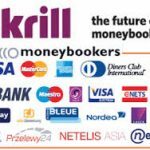 This broker is located in Cyprus, and offers Western Union as a means of transaction. However, there are rules to follow in order to be able to use this service seamlessly. Firstly, all Western Union requests are to be made to the company’s executive director, after which the trader must scan and send a copy of the receipt of the transaction to [email protected] The trader must then head over to the Fibo Group website and click on the link “Sending money by Western Union”. This will automatically redirect the trader to the Western Union funds deposit page. It is important that traders specify Cyprus (EU-member country) as the beneficiary destination country because Western Union recognizes Cyprus as 2 different countries (Cyprus and Northern Cyprus). Withdrawals are processed in 24 hours. The only drawback with Western Union is the fact that fees are incurred for using the service. So traders using this deposit method must factor these fees into their transactions so that they can receive their full credit.